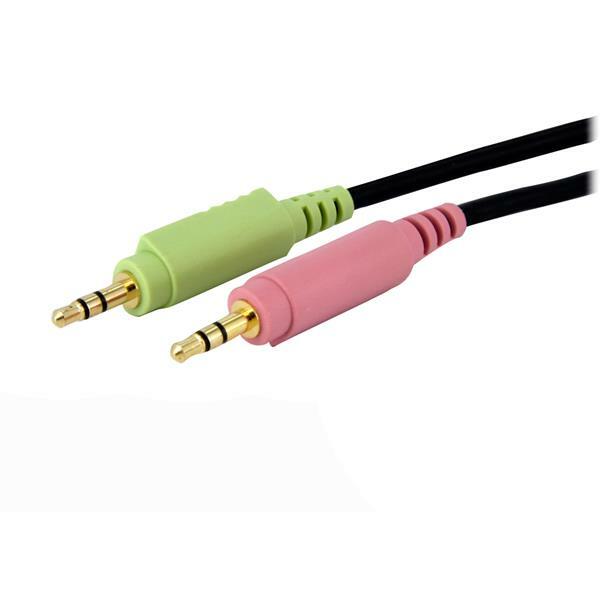 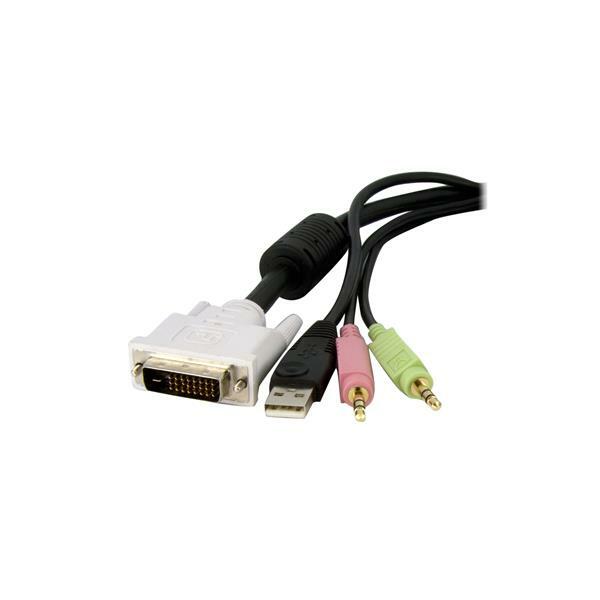 The DVID4N1USB6 6ft 4-in-1 USB Dual Link DVI-D KVM Switch Cable w/ Audio & Microphone integrates dual link DVI video quality with USB mouse, keyboard, 3.5mm audio out and microphone connections into a single, compact cable. 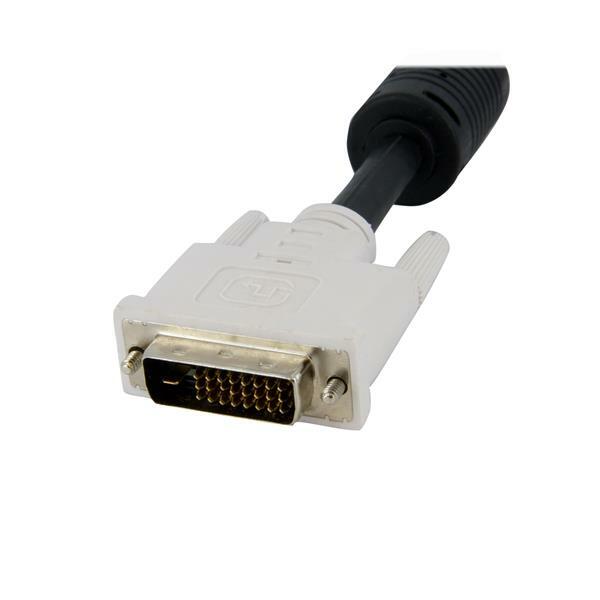 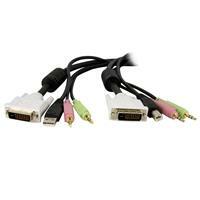 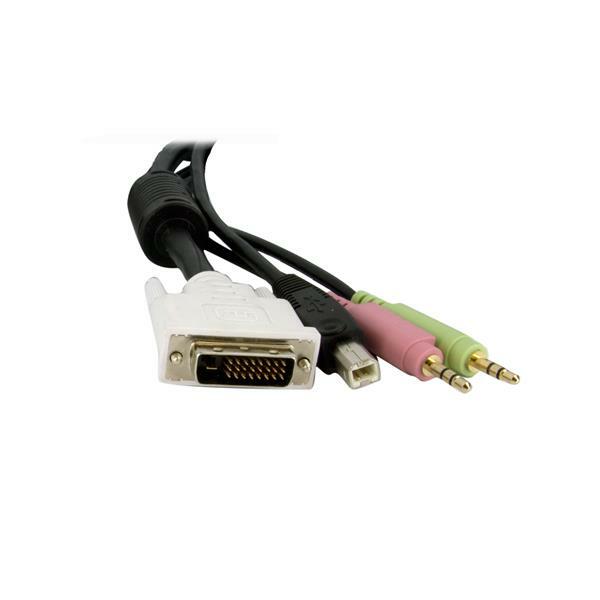 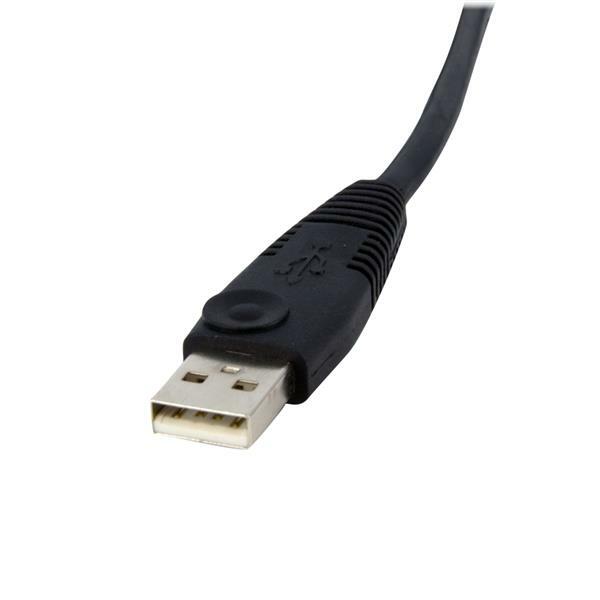 The 4-in-1 KVM cable is a cost-effective and convenient solution that's suitable for use with dual link DVI supported USB KVM switches, allowing you to share a USB peripheral set between two computers configured for high definition output. 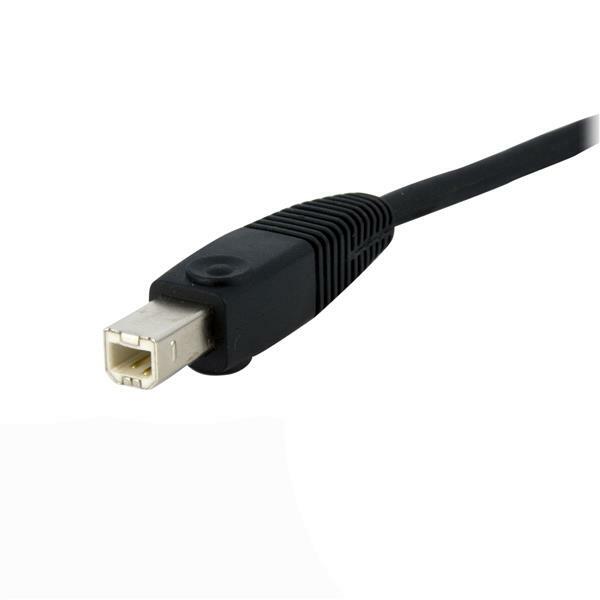 Compatible StarTech.com KVMs can be found under the Accessories section.